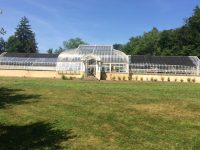 It almost goes without saying that when it comes to growing plants all year long, the greenhouse is the best option you have. 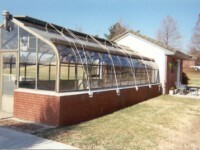 Greenhouses are perfect and reliable as far as creating an ideal environment for plants is concerned. That is because with a greenhouse, you get to control factors such as warmth, humidity and even light. It gets better with the fact that you can grow a wide range of plants in a greenhouse; from flowers and vegetables to fruits and herbs. 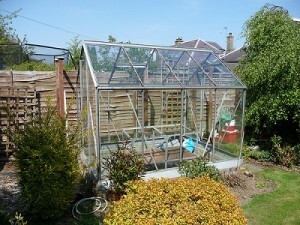 It is however important to note that all these perks can only be guaranteed with a perfect greenhouse installation. Insulation, for instance, must be perfect. To ensure you don’t make a mistake with your greenhouse insulation, consider the following tips. Line your greenhouse interior with a layer of thick plastic. This is referred to as double glazing. 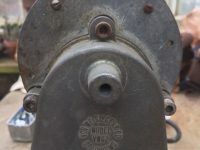 It will seal off all the air gaps and at the same time, reduce the rate at which heat escapes. That is exactly where bubble wraps come into the picture. They are cheap and easy to use. Keep in mind though that bigger bubble wraps are better as compared to smaller ones. They allow more light in. They also provide better insulation. You can also opt for horticultural bubble wraps with large bubbles. The option in fact, better than the aforementioned traditional bubble wraps because it is UV stabilized. This makes it last longer. Be sure to send your bubble wraps for recycling once they degrade. Use a roll of thermal insulation foil to insulate the upper side of your greenhouse. The foil features bubble plastics sandwiched in between layers of silver foil. This makes it easy for the foil to reflect both light and heat back into the greenhouse. Most greenhouse specialists agree that snow has natural insulating properties. This means you shouldn’t be too quick to dig away snow from your greenhouse after a heavy snowfall. Be keen though and have the snow removed if it endangers the structural strength of your greenhouse. Heat buildup accumulated during the day can be easily trapped inside the greenhouse overnight. This can be done using greenhouse blinds and thermal screens. This is an expensive option though. Your best bet is to go for double or even triple layers of row cover fabric. Lay them directly on top of plants. Have old blankets suspended on canes or hoops to prevent them from flattening and damaging your crops. The only downside to using materials that are not transparent is that you will have to be keen on light. Remove the materials during the day so as to allow light in. Remember light is one of the main properties plants need so as to grow. Anything that compromises light can therefore frustrate your efforts to run a functional greenhouse. 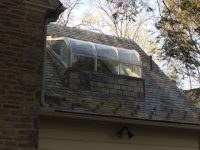 Cloches and cold frames are not just for outdoor use. They can also be used inside the greenhouse, alongside the aforementioned insulation options. They are particularly ideal for small seedlings. You can build a large cloche or buy one for a section of your greenhouse. To get the most out of cloches however, cover them transparent poly sheeting. Try the hoop house style which can be easily made at home. Use PVC tubes and wooden boards bent into D shapes and raised into place. Attach each the frames to hold the outer part of the transparent later of poly sheeting. Insulation is certainly a factor you should consider especially during cold winter months. Avoid a too much emphasis on insulation though at the expense of your plants. Water them, ensure they get enough light and most importantly, get the needed fertilizers.